A North Woods Elegy wins Award of Excellence! A North Woods Elegy: Incident at Big Moose Lake won an “Award of Excellence”in the Faculty Documentary Competition at the Broadcast Education Association Festival of Media Arts in Las Vegas on April 16, 2012. Derek Taylor and Mike Bay were in attendance to accept the award. We’ll be screening the documentary at Hamilton College on Tuesday February 7, 2012 at 7:00 pm in the Kirner-Johnson Building Auditorium. Craig Brandon (author of Murder in the Adirondacks) and Jack Sherman (editor of the Prison Diary and Letters of Chester Gillette) will be in attendance for a Q&A with me afterwards. Hope to see you there! A North Woods Elegy: Incident at Big Moose is now available for sale on DVD via Amazon.com. The cost is $12 (plus shipping). 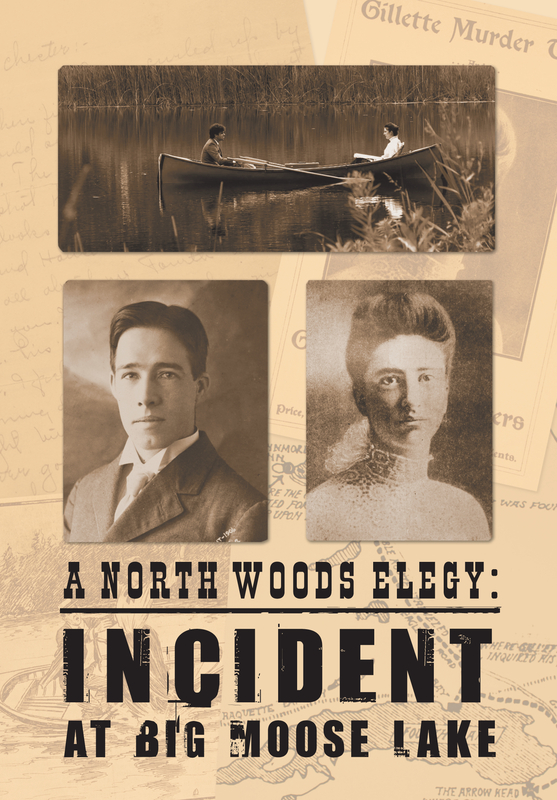 A North Woods Elegy: Incident at Big Moose Lake will soon be available on DVD. Here’s a view of the DVD cover. We also have several upcoming screenings (check the Screenings page for more info). So I was going through some of my notes in preparation for the DVD design and realized that today was Chester Gillette’s birthday. He was born August 9, 1883 in Wickes, Montana. After Montana, Chester became quite the itinerant traveler, winding up in Hawaii, Illinois and California, just to name a few places. 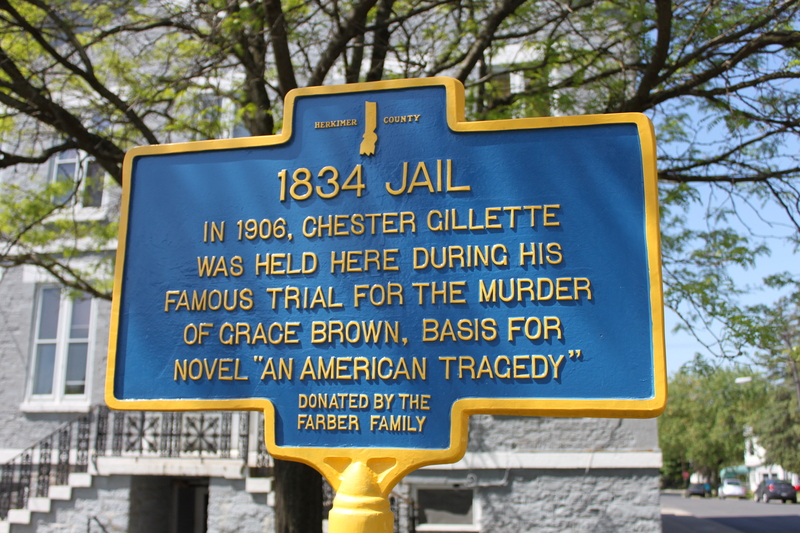 But on his 23rd birthday, in 1906, he was behind bars in Herkimer, NY, accused of murdering Grace Brown on Big Moose Lake. 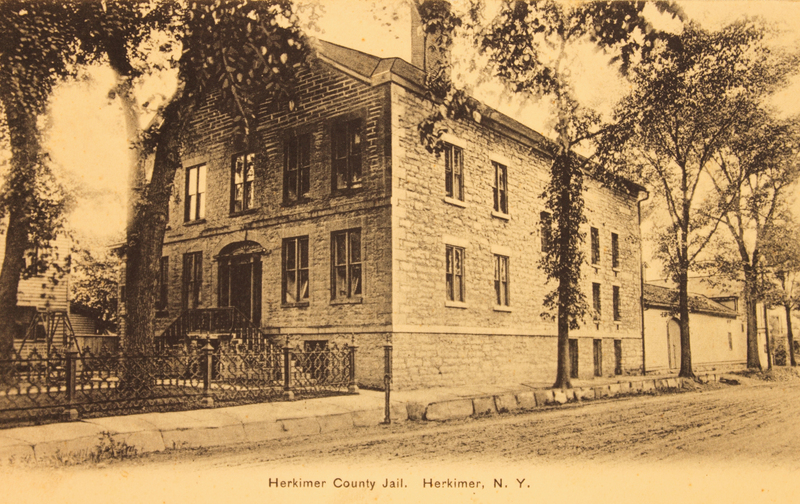 Thanks to the “Friends of Historic Herkimer County” we were lucky enough to gain access to the 1834 Herkimer County Jail for a day of filming in July 2009, and the footage figures prominently in the film. It was really sobering to sit in Chester’s jail cell and see his view. 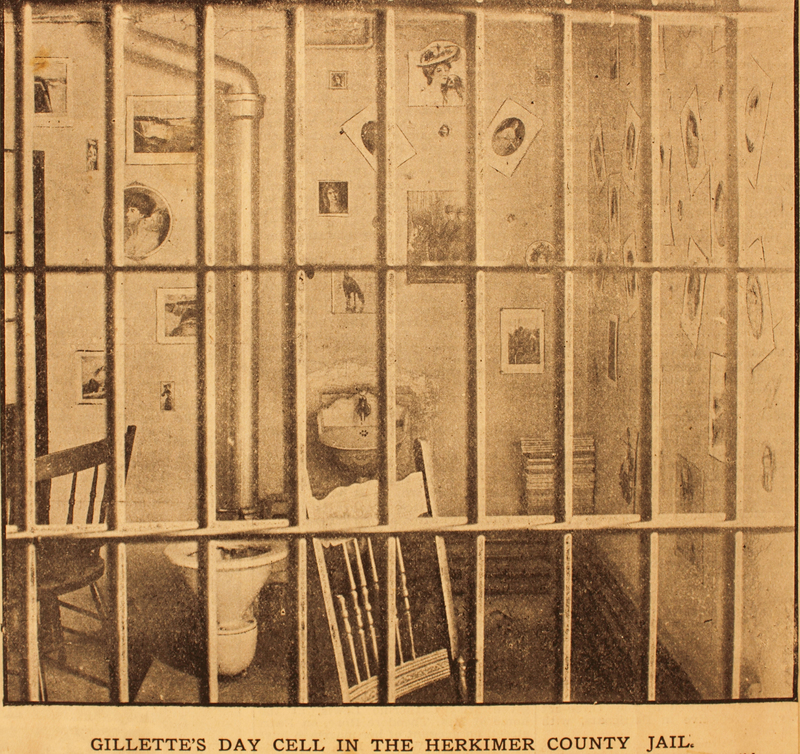 We even attempted to duplicate Chester’s amusing cell decorations (see below). We had a really great screening on August 6 at UFVA in Boston. Thanks to all who attended! Looking forward to several fall screenings and a DVD release. This is the site for the documentary film A North Woods Elegy: Incident at Big Moose Lake. Please check back regularly for updates about the film.